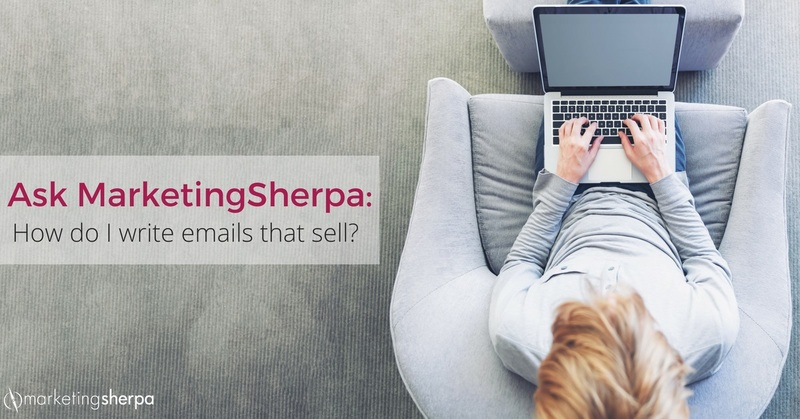 Ask MarketingSherpa: How do I write emails that sell? We frequently receive questions about marketing advice from our email subscribers. Instead of hiding those answers in a one-to-one email communication, we publish some of them here on the MarketingSherpa blog since they may be able to help many other readers. And if you have any questions, let us know. My position is Advertising Sales at a Print Media Magazine. What tips can you guide me with in terms of constructing emails to get my existing clients or new clients to advertise with us? Dear Reader: Great looking magazine! Here’s the best advice I can give you — think about the question you just asked me. I don’t mean to sound harsh, 99% of people selling advertising would have worded it the same way. However, think about it as a customer. Do you want someone to “get” you to advertise? No! You want value. So take a customer-first marketing approach. What value can you provide to existing and new clients? And that goes for both those that buy from you and those that don’t. Focus your email around that. Nobody is waiting to get an email that sells them something. However, an email with value for them, now that might get a response. That’s my top tip. 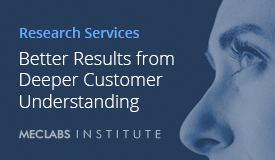 In addition, this PDF transcript — Email Messaging: How overcoming 3 common errors increased clickthrough 104% — has some good advice based on our research. And we go even deeper in this online course — MECLABS Institute Email Messaging Online Certification. First I would like to thank you for taking the time to respond to me. Second, I agree with you wholeheartedly that the wording I used was incorrect, I probably should’ve written something like “what technical language in an email would assist me in conveying my intent to serve my customers in such a way as they would be emotionally driven to take me up on my offer …” or something along those lines! Then I must thank you profusely for the link to the transcript you provided me. I haven’t yet finished reviewing it, but the content is absolutely amazing and clear! I really appreciate it! It’s a priority for me to finish that transcript, start experimenting with it, then move on to the deeper training session you sent me. Dear Reader: Thanks. Glad you found it helpful. And I’m aware you probably didn’t intend — nor do any of us — for the wording to come out that way. However, it hits on the biggest gap in marketing, advertising and selling for marketers ranging from big brands to sole proprietors — not putting the customer first. I won’t bore you with the entire conversation, but I think this exchange hit on the most important factor for increasing conversion. 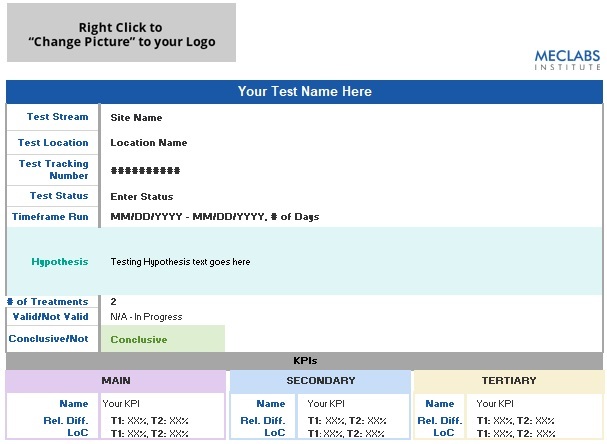 Later in the conversation, the reader decided he was interested in taking the MECLABS Institute Email Messaging Online Certification Course from MarketingSherpa’s parent research organization, and possibly the Value Proposition Development Online Certification Course as well. 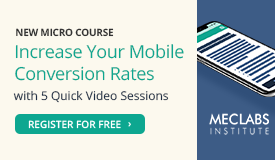 So I created a special discount code for him, and figured I would share it with MarketingSherpa blog readers as well. Use promo code SherpaBlogReader by November 11th and you’ll receive 50% off one of the above-mentioned courses. You can follow Daniel Burstein, Senior Director, Content and Marketing, MarketingSherpa and MECLABS Institute, on Twitter @DanielBurstein. Marketing 101: What is big rock content? Marketing 101: What is a unique visitor?